Out of everyone in Hollywood, I least expected comedian Ike Barinholtz (The Mindy Project, Neighbours 2: Sorority Rising, Blockers) to write and direct an impassionately-charged social satire that hilariously addresses today’s disturbing political divide. 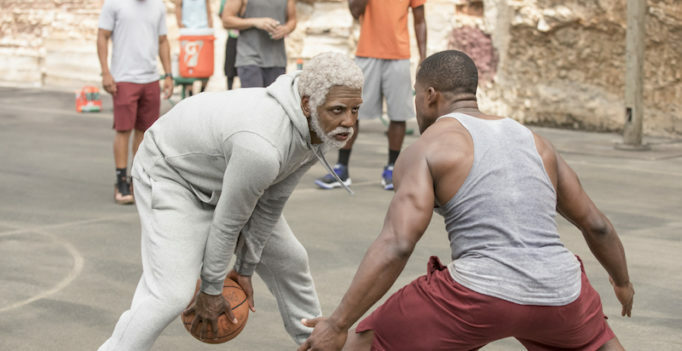 By: Graeme Howard Considering the fact that Uncle Drew originated as a Pepsi advertisement campaign, it is surprising that the film is not a complete and utter train wreck. Instead viewers are treated to a passable film that will appeal to NBA fans. However the abundance of product placements and issues with pacing lead to a largely by-the-book film that misses more than it dunks.